Home » national news » Forcing to sing National Song will not create feeling of patriotism: Cong. 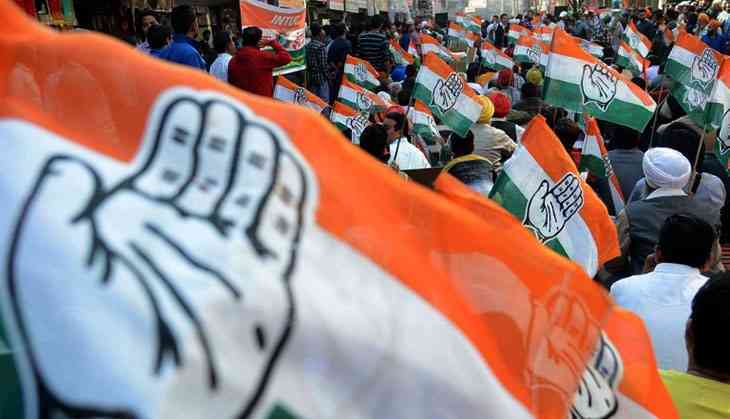 The Congress on Tuesday objected the Madras High Court's ruling, which makes singing of the Vande Mataram compulsory and said such acts would not create the feeling of love and patriotism among the people for the country. Referring to the recent verdict passed by the Supreme Court making it compulsory to play National Anthem in the theaters and to stand during that time, Congress MP Shashi Tharoor said it is bad to make things compulsory one after the other. "We don't do such things in the Parliament as we know that the feeling of patriotism for the country comes from within one's heart. But by forcefully making people sing the National Song, will not create this feeling," Tharoor said. He added that if people want to sing the Vande Mataram willingly, then they should be given a chance and should also have the freedom if they don't want to. Echoing similar sentiment, another Congress MP Ranjeet Ranjan questioned as how can one's patriotism be judged on the basis of whether one sings the national song or not. "I don't understand why the Bharatiya Janata Party (BJP) Government is forcefully trying to turn people patriotic by making them sing the National Song," she said. Earlier in the day, the Madras High Court ruled that 'Vande Mataram' must be sung in schools, educational institutes and government offices. Justice M.V. Muralidharan said that schools must be made to follow it at least once a week either on Monday or Friday, whereas the National Song must be sang in offices once a month. READ NEXT >> When women are surrogate mothers: is that work?